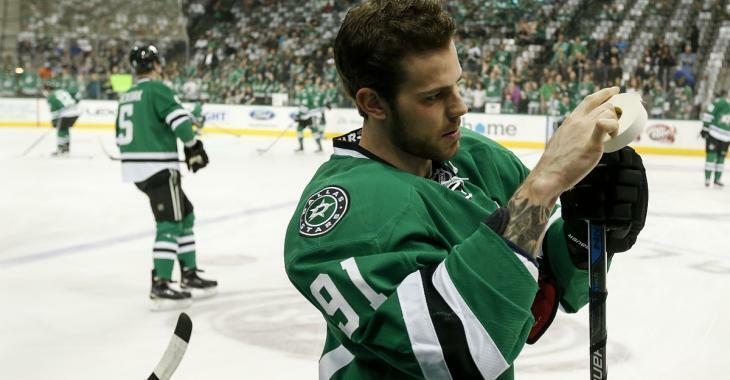 NHL News : Tyler Seguin roasts the Habs out of nowhere during media interview. The Habs just got burned alive. Everyone knows by now that the Montreal Canadiens are experiencing a bit of a catastrophe this season and it's no surprise given that they are in one of the biggest hockey markets on the planet. The Canadiens have not only had a season in which their results have been far below the lofty expectations that fan base sets for the team year in and year out, but they have also lost some of their core players to long-term injuries. While losing players to long-term injuries in a season that is already effectively over wouldn't seem like a big deal, but considering who is injured it's a much bigger concern. The Canadiens have lost veteran defenseman Shea Weber for 6 months, and that is a problem on many levels. The first problem is fan perception, fans know Weber was traded for the most popular player on the Canadiens roster on the time, P.K. Subban, and every time Weber gets hurt as he continues to get older, it feels a little more like the Habs lost that trade quite badly. The other is the fact that his recovery will carry into what would normally be his offseason preparation, and it could impact his start to the season. The Habs also lost Carey Price, and the goaltender has been hurt quite a few times in recent years. Considering he is about to become the highest paid goalie in the NHL next season, on a contract that last for a full 8 years, there are major cocnerns about his long-term health. Should Price continue to be injury prone this contract could turn into a nightmare. With the Habs being this bad you would think that rival players would cut them some slack, if not on the ice at least when they are addressing comments about them to the hockey media. Unfortunately for the Habs they received absolutely no mercy when Dallas Stars star forward Tyler Seguin made an unprompted comment about the current state of the Canadiens. Seguin was speaking to the media after a grueling battle with the Toronto Maple Leafs on Wednesday night when he was asked about how the Stars felt after going the distance with a very tough Maple Leafs team. Instead of responding about as you would expect after a 6 - 5 loss that went all the way to the shootout, Seguin unexpectedly threw the Habs right under the bus. Competing against a team of that calibre, what does it mean for the rest of this trip? It means where was that last night against a team that wasn’t their calibre? Seguin is of course referencing the 4 - 2 loss suffered at the hands of the Canadians on Tuesday night, although it's unclear why he felt the need to roast that team after that match up had already come and gone. While it seems fair to say that Seguin was unhappy about losing to a team like the Habs who are badly underperforming, it sounds like there may have been something more to his decision to fire a shot at the Canadiens out of the blue. What that could be though is anyone's guess.